Buy this item and earn 75 ClubPoints. 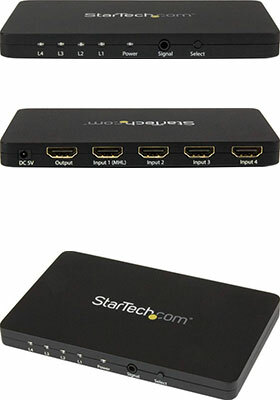 VS421HD4K 4-port HDMI 4K switch lets you share a display or projector with four HDMI-enabled audio/video source devices. The switch features four independent inputs that each support 4K resolution and 7.1 surround sound audio. This switch ensures effortless operation with automatic switching that detects and selects a newly connected device. Automatic switching encourages on-the-fly collaboration among colleagues, by making it easy to share your projector between multiple source devices in a boardroom or classroom environment. 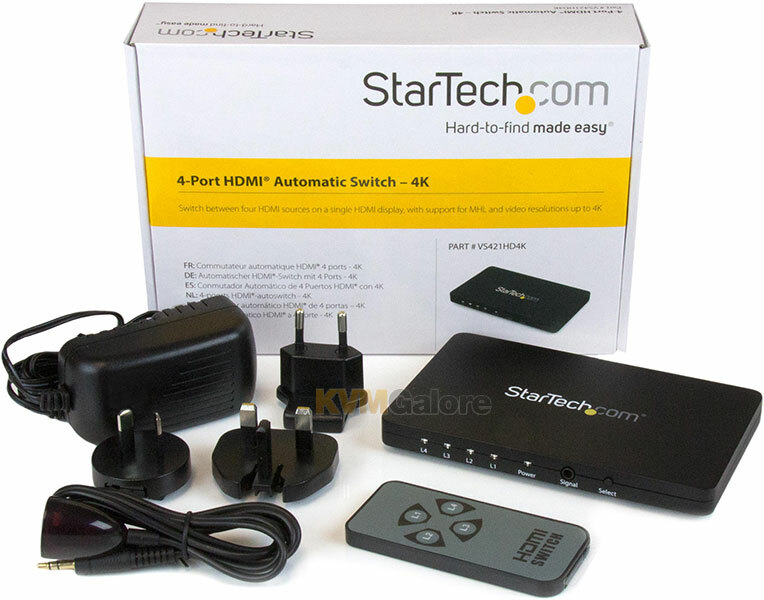 VS421HD4K also supports manual operation using the included IR remote control, or the built-in front panel toggle switch directly on the device.